Once big names who pulled in large crowds and enjoyed big TV coverage, former world champions Tomasz Adamek and Guillermo Jones picked up wins that by and large flew under the radar this past weekend. Fighting in his homeland of Poland, former light-heavyweight and cruiserweight champ Adamek, now aged 40, pulled out a ten-round UD over tricky spoiler Fred Kassi. Adamek, who has now won two in his latest comeback, improved to 52-5(30) with the decision win over “Big” Fred, 18-7-1(10). 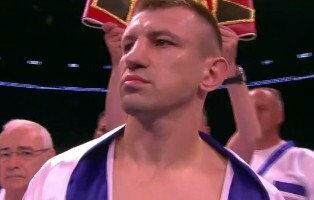 Adamek, who is still hugely popular in his homeland, suffered a pretty bad cut to the left eye in round two, but the hugely experienced old pro battled on, outworking Kassi to win via reasonably close scores of 96-94 twice and a wider tally of 97-93. Adamek can still fight at a certain level but it’s really anyone’s guess how his comeback winds up. Jones, the former cruiserweight champ who has suffered from a great deal of inactivity throughout his career, is even older than Adamek at age 45, yet he too is campaigning as a heavyweight. Fighting in Santa Domingo, Jones had a tough time with the much younger Ytalo Perea, 10-3(6), winning a hard-fought 11 round split decision. Jones, who came on strong in the later rounds, prevailed by scores of 107-102 twice, the third judge giving the fight to Perea by a 105-104 margin. Jones, now 41-3-2(30) picked up the vacant WBA Fedelatin heavyweight belt. The fight was scheduled for 11 rounds (no typo) as the WBA ruling says regional title fights consist of only 11 rounds – strangely enough. As with Adamek, it’s hard to say where Jones goes from here or how his own comeback will end. In his day, Jones was a thrilling warrior, giving fans plenty to cheer about with his exciting fights with the likes of Denis Lebedev, Steve Cunningham and Wayne Braithwate. Jones of Panama has been a pro since way back in July of 1993. He has now won three in a row since the brutal fight with Lebedev that was originally a stoppage win for Jones but later changed to a NC due to Jones testing positive for an illegal substance. Both Lebedev and Jones are still active so who knows, maybe that rematch could still happen!